Greetings! 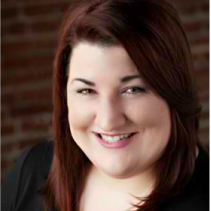 My name is Rebecca Johnson and I am YOUR Elder Care and Placement Specialist! I have a passion of working with seniors and their families to explore their options when it comes to finding senior care. I am a graduate of California State University, Sacramento with my bachelor's degree in Social Work. I have been in the social work field for over 20 years. I have been a family caregiver, and joined the senior industry in 2013, working in the non-medical in home care arena, as well as senior placement. I would be honored to work with you and your family to find solutions to your care needs.